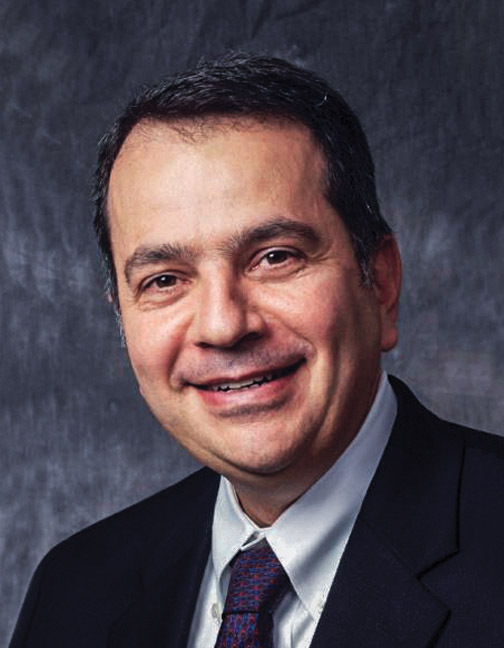 In his role as the acting Vice President of the Lockheed Martin’s Advanced Technology Center (ATC), Dr. Nelson Pedreiro leads a team of nearly 500 engineers and research scientists at one of the company’s more iconic divisions. The ATC has paved the way for groundbreaking programs like the first imaging satellites, the first instruments that illuminated the source of solar storms, and honed systems that can shoot down unmanned vehicles with directed energy. Dr. Pedreiro’s love affair with space and technology began in his native Brazil when he became fascinated with building model airplanes as a child. That interest combined with an aptitude for geometry, physics, chemistry and math led him to pursue a bachelor’s degree in Aeronautical Engineering. His studies soon gave him the basic knowledge to design or at least understand how to design aircraft, and soon Dr. Pedreiro was working at Embraer, Brazil’s internationally renowned aircraft manufacturer. A continued thirst for knowledge motivated him to pursue his master’s degree to learn more about aircraft dynamics and control, and soon his thesis was being used to predict the flying qualities of Embraer’s aircraft. His passion for pursuing aeronautical design brought Dr. Pedreiro to the U.S. He joined the Aero-Astro Ph.D. program at Stanford University, and while at Stanford he started a family while he pursued his doctorate. Before long, the talented aerospace engineer caught the eye of Lockheed Martin, which hired him as a research scientist. He quickly progressed from an individual contributor role to a project lead and manager, solving challenging technical problems that were required to build complex spacecraft and missile systems, inventing and demonstrating new technologies along the way. Dr. Pedreiro was the inventor and team lead for the Disturbance-Free Payload (DFP) technology that demonstrated three orders of magnitude of improvement in vibration isolation between payload and spacecraft. This technology is slated for use in future NASA space observatories. He also was instrumental in the development of the Air Borne Laser (ABL) system and led the Near Infrared Camera (NIRCam) Wave-Front-Error Team that designed and built the optical system for this state-of-the-art infrared instrument on the James Webb Space Telescope. Just last year, Dr. Pedreiro took on a special assignment to lead the Advanced Test High Energy Asset system (Athena) directed energy laser weapon system program, proving that laser-based weapons can deliver decisive lethality against unmanned aerial vehicle threats. Throughout his career, Dr. Pedreiro has maintained a consistent focus on STEM outreach, mentoring and talent management. He was executive sponsor of the Culture and Engagement (CEO) Team designed to promote an innovative, engaged, and inclusive corporate culture, and also created the ATC Employee Engagement Team focused on employee participation in Diversity and Inclusion activities. He has been an Associate Fellow for the American Institute of Aeronautics and Astronautics (AIAA) where he participated, organized, and chaired multiple conferences over the years. With Dr. Pedreiro’s leadership, Lockheed Martin’s ATC will continue to apply new thinking for near-future applications and meet the visionary value of predicting challenges for their customers and creating the new technologies that form the future.